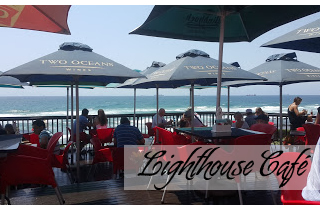 Anchor's Rest Guest House Umhlanga Rocks: Let's eat out in Umhlanga! 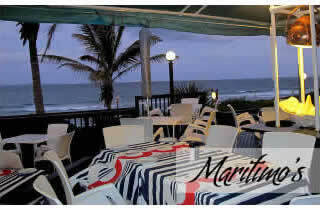 Let's eat out in Umhlanga! But not Umhlanga! Mildly warm evenings relish the kiss of an ocean zephyr. Languid days melt into the ocean at sunset, inviting visitors to tickle their toes in the surf. Durban North’s Winter Wonderland is wonderful indeed - a gentle island paradise … an epic escape from the frigid heart of the country. Contented guests love the luxury of an evening stroll along our famous promenade, teeming with elegant eateries and delicious dining. If you’re looking to relax and “chill out”, we recommend these favourite spots - all of which are right on the promenade. 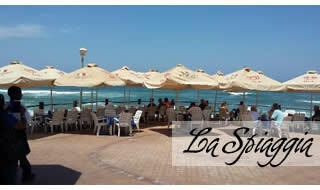 La Spiaggia Restaurant brings Italy to Durban’s north coast. Delicious, authentic Italian flavours mingle with the scent of herbs and atmosphere of love. It’s the perfect spot for a spontaneous night out. Maritimo’s Cabana Beach Resort boasts a charming sea-themed restaurant. The expansive white deck overlooks the ocean, bringing salted breezes to play across the faces of their guests. A late morning brunch, mid-afternoon lunch, or a dinner that you wish would never end … Maritimo’s is a charming eatery for any (or all!) of these. For something truly nautical, the Lighthouse Café is a delight. The perfect venue for a weekend breakfast on the beach … or a lazy Sunday lunch … the Lighthouse Café’s mouthwatering menu has something yummy for everyone. When you’re looking for something more elegant and upmarket, the local eateries do not disappoint. 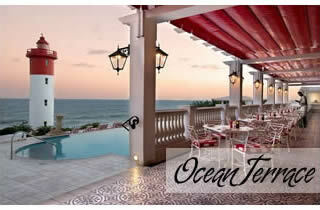 The Ocean Terrace Restaurant at the Oyster Box is a local (and international!) legend. Every square inch of the experience exudes elegance and olde worlde charm. High teas fit for a queen; captivating curries reminiscent of large empires and lazy entertaining; exquisite seafood; and almost anything edible you can imagine … and all under one beautiful roof. The Ocean Terrace Restaurant has earned its reputation: this refined restaurant will not disappoint. The Sugar Club Restaurant at the Beverley Hills Hotel describes its cuisine as culinary excellence. And they’re not wrong. The food is truly sublime. And the sophisticated atmosphere is the perfect counterpoint. 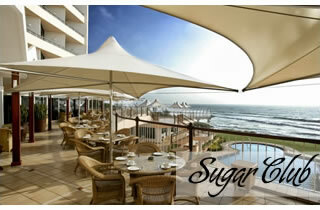 Like the Ocean Terrace, the Sugar Club overlooks both the promenade and the beach. Watch waves lapping the cooling sands as lovers stroll hand in hand against a rising moon … revel in the salt-sprayed air as you enjoy some of the best meals you’ll ever eat … enjoy Umhlanga in Autumn … it’s well worth the trip! Holidaymakers, the weather is beautiful, and the water is warm. Come and have a meal and a glass of wine as you gaze at the ocean ... and smell the sea! It's right there. So close, you could touch it.